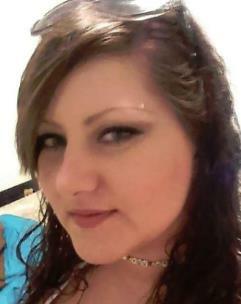 Ciara Brook Morrow, age 30, of Dayton, passed away Thursday, March 14, 2019. Ciara was a life-long resident of Rhea County and was of the Pentecostal faith. She was employed with I.A.C., where she worked in the quality control department. She also enjoyed spending time with her family and loved helping people. She is preceded in death by her grandparents, Okla J. and Virginia Ann White. Survivors include her mother, Vivian Lynne Dawson, of Dayton and her father, Louis Edward Dawson, of Idaho; brother, Oliver L. Dawson, West Palm Beach, Fl. ; and loving partner, Charles Dunn, Hixson, Tn. A graveside services will be held at 10 a.m. on Tuesday, March 19, at Sullins Cemetery, Athens, Tn. There will be no visitation at the funeral home. To share online condolences, please visit www.coultergarrisonfuneralhome.com.